Clinton Missouri Henry County Museum | Take a Step Back in Time! When you visit the Henry County Museum and Cultural Arts Complex, you take a step back in time. The rich heritage of Henry County is alive in every room. The restored Anheuser-Busch Distribution Center serves as the hub of the multiplex and home of many local artifacts. The adjoining building, known as the Annex, is the main entrance. It houses our Art Exhibits and Indoor Village rooms. A docent is available to conduct tours of the museum and the homestead area. Dorman House tours must be scheduled in advance. Bus tours, school or church groups and other organizations are always welcome. Arrangements for groups ten or more should be made by contacting the museum at 660-885-8414. The Henry County Historical Society was reorganized in June 1966 and was chartered at that time. An earlier society was started in 1954, but was never chartered. Two hundred and four interested people joined forces to begin an investment of a wonderful historical society and museum. One of the first curators said, “There is no limit as to what a group can do, if no one cares who gets the credit and there are no ego needs.” The hard work and dedication of these early members has left us the legacy of a strong foundation on which to continue to build. None of this would have happened without volunteers from the membership rolls. The Henry County Museum is not tax supported and depends solely on donations, guest fees and membership dues. Volunteers have literally moved the one-room school and several structures to the Homestead. Due to their hard work and vision they have made time stand still. People volunteer for a wide variety of reasons. Our volunteers have all gained from their experiences. You can be part of the movement to preserve history. Annual membership dues include free admission to all of the museum complex. Family membership dues are $30.00 and single membership is $20.00. 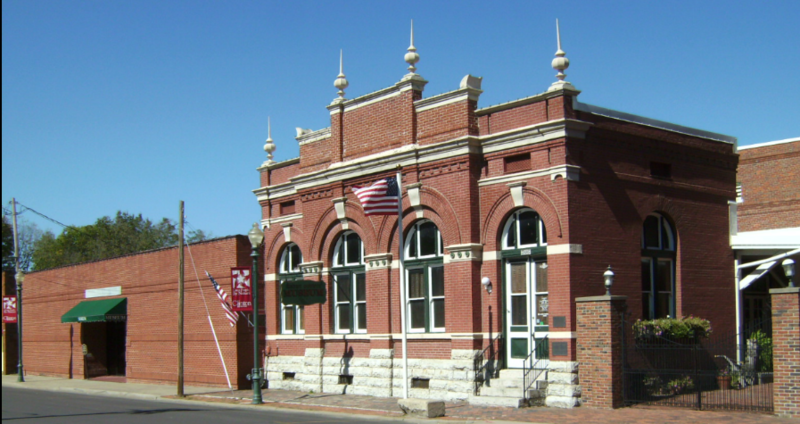 The former Henry County Bank building is a spacious place for wedding, receptions, birthday parties, family reunions, or organization meetings. The Children’s Corner has hosted many plays and programs utilizing the raised, curtained stage. Other amenities include kitchen, courtyard area, theater room and the east side room. This fully restored home was built in 1852 and is listed on the National Register of Historic Places. Its beautifully appointed rooms of period furnishings are ideal for small wedding receptions, bridal showers, teas, luncheons or anniversary dinners. For your special occasion contact the museum for rates and available dates. Founded in 1834, Henry County is named for Patrick Henry, the Virginia statesman whose “Give Me Liberty or Give Me Death” speech fed the flames of the American Revolution. Founded in 1836, Clinton, the county seat, is named for DeWitt Clinton, the New York governor who oversaw the building of the Erie Canal. With 80-foot wide streets around the courthouse, Clinton’s town square is the largest in Missouri and fourth largest in the country. Clinton is the western end of the Katy Trail, a recreational trail built on the MIssouri-Kansas-Texas Railroad bed. The longest recreational trail in the country, it stretches 237 miles, ending in the St. Louis suburb of St. Charles. The Rock Island Spur’s trailhead in Harrisonville connects with the Katy Trail in Windsor. A freight train still comes to Clinton once a week to make deliveries. Listen for the train whistle and look both ways before crossing the tracks. The “exempt” sign at railroad crossings means there are NO warning flashing lights or barrier rails where the train crosses the street. Henry County Museum Welcome Video! Watch the Henry County Museum welcome video. Learn more about the local Clinton Missouri Community! Help preserve the history of Clinton and Henry County by supporting the museum.